Today we are going to learn another to form a sentence by using 是否. 是否 means whether or if, and have the similar meaning as 是不是. 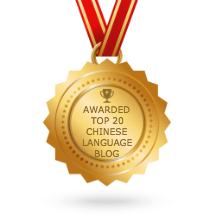 When 是否 is used before a verb, it turns a statement into a yes–no question. 是否 questions are more common in written Chinese than in the spoken language. nǐ shì fǒu huì shuō zhōng wén ? 你 是 否 会 说 中 文 ? nǐ shì fǒu míng tiān qù yóu yǒng ? 你 是 否 明 天 去 游 泳 ? nǐ shì fǒu xǐ huān tā ? 你 是 否 喜 欢 他 ? nǐ shì fǒu yǒu qián ? 你 是 否 有 钱 ? 你 是 否 可 以 打 个 电 话 给 他 ? Thanks for this lesson. I have heard people saying “ni shi fou …” but I couldn’t understand the rest of the sentence because I had never seen the 是否 construction before. I thought they might be saying 师傅, but the context didn’t make sense. Now I understand. Thanks again. I don’t comment as often as I used to, but rest assured I read every one of your lessons. Yes. 师傅 (shī fù) is totally different from 是否 (shì fǒu). Some of Chinese words have very similar pronunciation, but the meanings of the words are different. 你	是	否	明	天	去	游	泳? Shouldn’t time phrase come before??? Both sentence structures are correct. And yet another doubt, I have learnt from your posts that prepositional phrases come before. so in this sentence, 你	是	否	可	以	打	个	电	话	给	他	? shouldn’t 给	他 come somewhere before?? Like if I were to reply to this question, I would have probably said, 我 可以 给 他 打电话. So is it wrong? Shouldn’t 给 他 come before the verb 打?? 你是否可以 ( 给他 ) 打个电话?